Cynthia Carlson and Joyce Kozloff discuss their work, Pattern & Decoration, feminism, and activism. Cynthia Carlson is a pioneer in the Pattern and Decoration movement. She was known for her all-over installations which defied categorization, presenting themselves simultaneously as paintings, wallpaper, architectural interventions, decoration, and kitsch. Her work playfully experiments with the canonical ‘grid’ across a multitude of painting and drawing formats. Cynthia Carlson has mounted solo shows at Phyllis Kind Gallery in Chicago, Hundred Acres Gallery, and Pam Adler Gallery in New York City, The Pennsylvania Academy of Fine Arts, Lowe Art Museum, Albright-Knox Gallery, The Queens Museum, Neuberger Museum of Art, Hudson Opera House, Gallery Gris, just to name a few. Her work is in numerous public collections, a selection of which include the Guggenheim Museum, the New Museum of Contemporary Art, Brooklyn Museum, Albright-Knox Art Gallery, National Museum of Women in the Arts, Museum of Contemporary Art Chicago, Milwaukee Art Museum, and San Antonio Art Museum. Her public commissions are permanently installed in New York City, Philadelphia, Los Angeles and Baltimore. 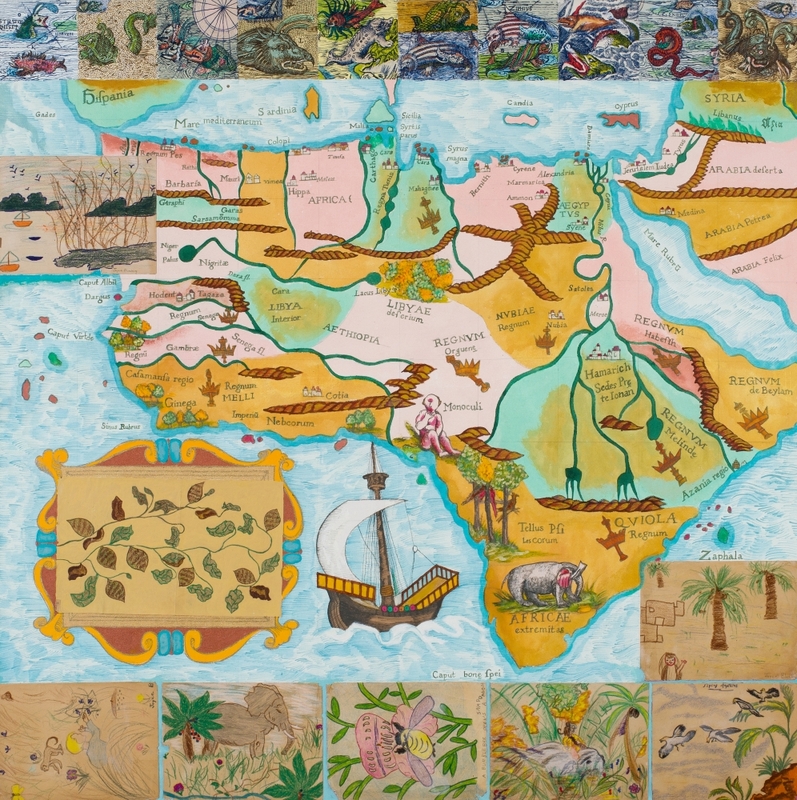 Joyce Kozloff was an originating figure in the Pattern and Decoration movement, and a founding member of the Heresies Publishing Collective. Throughout her career she has fused widespread artistic traditions with an activist temperament. She is internationally known for her paintings, installations and public works that use dense pattern and maps as a device for consolidating her enduring interests in history, culture, and the decorative and popular arts. She is represented by D.C. Moore Gallery and has mounted solo exhibitions at the Metropolitan Museum of Art, Barbara Gladstone Gallery, and PS1 in New York City, the CB1 Gallery in Los Angeles, Regina Gouger Miller Gallery, at Carnegie Mellon University, Pittsburgh, PA, to name a few. Her work has been included in numerous museum exhibitions both nationally and internationally. She was awarded the Purchase Prize from the American Academy of Arts and Letters, the Lifetime Achievement Award, Women’s Caucus for Art, College Art Association, she is a John Simon Guggenheim Memorial Foundation fellow, and has received multiple NEA Grants. Her work is in the permanent collection at Albright-Knox Art Gallery, Brooklyn Museum, Harvard University, Fogg Art Museum, The Jewish Museum, Los Angeles County Museum of Art, The Museum of Modern Art, and the National Gallery of Art, Washington, DC, to name just a few.